Airspeed Skateparks was one of the companies that helped bring us into the modern era of skatepark design. While Grindline and Dreamland were carefully constructing some of the most well known advances in this area, Airspeed was building obscure and outlandish parks in rural Oregon. Although the other two builders were doing exciting things and building parks that flowed well and worked for the majority of skateboarders, Airspeed focused on building obstacles that nobody had ever seen before, often on their own dime and sometimes without the city planners’ knowledge. Although most of the guys on the trip didn’t know it, this trip through Oregon was mostly designed as a pilgrimmage to Geth Noble and Stephanie Mohler‘s three biggest masterpieces. 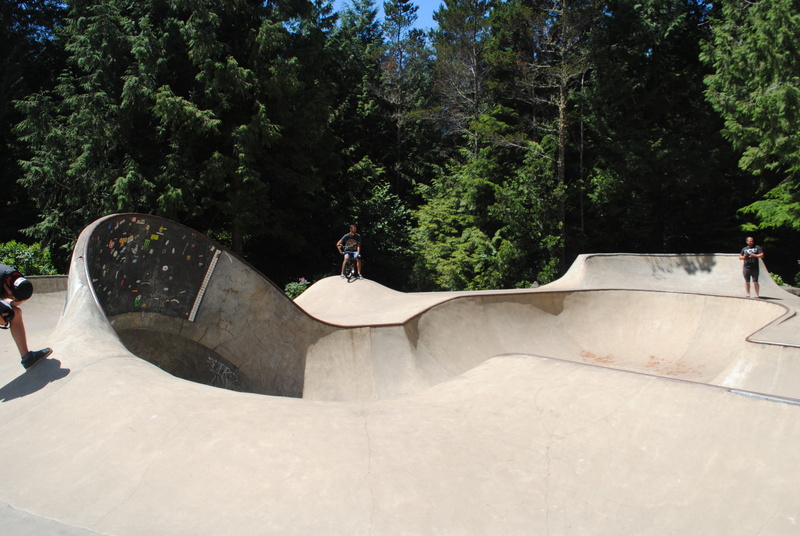 Airspeed was birthed out of the Golden Triangle – Medford, Ashland, and Talent, which represented a giant leap for Oregon skateparks. 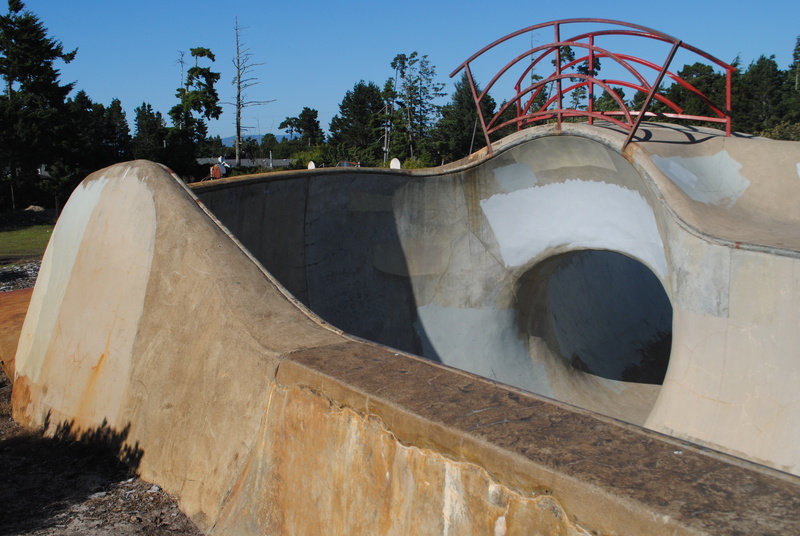 Oregon’s now established skatepark builders were once just a bunch of skaters with a passion for building parks, many volunteering to gain experience. Airspeed’s parks have been both lauded and criticized, and both sides of the coin have merit. They built things that nobody had ever seen or imagined, but the parks were often centered around those features with less thought and effort spent on other areas. 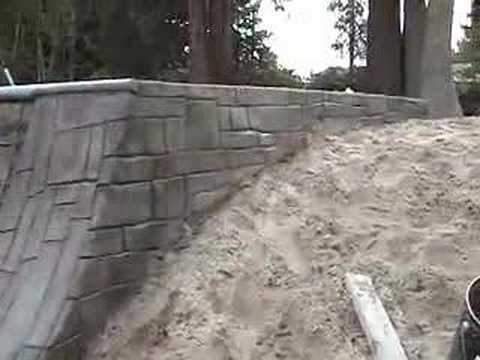 The “street” obstacles at most of these parks are pretty laughable, and the transitions outside of the main bowl at Reedsport are very strange. Faults aside, Airspeed makes my favorite parks. 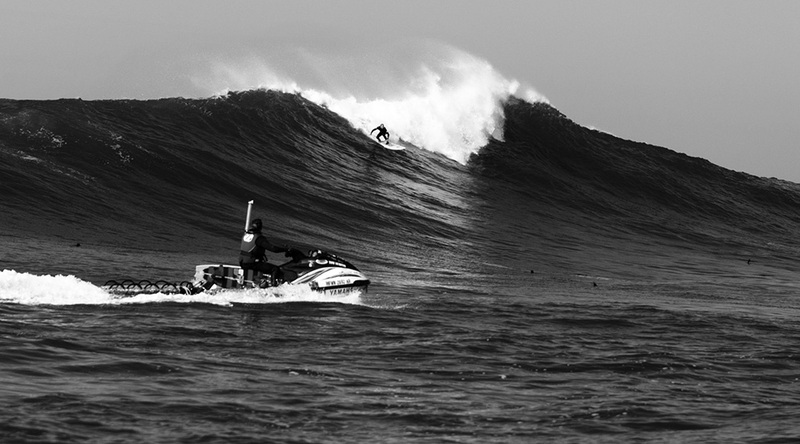 The main feature at Waldport is the Paraboloid, a 16 foot tall oververt clamshell with a speed band around the top. The tamest of the three centerpieces, it basically acts as a catapult for speed lines. 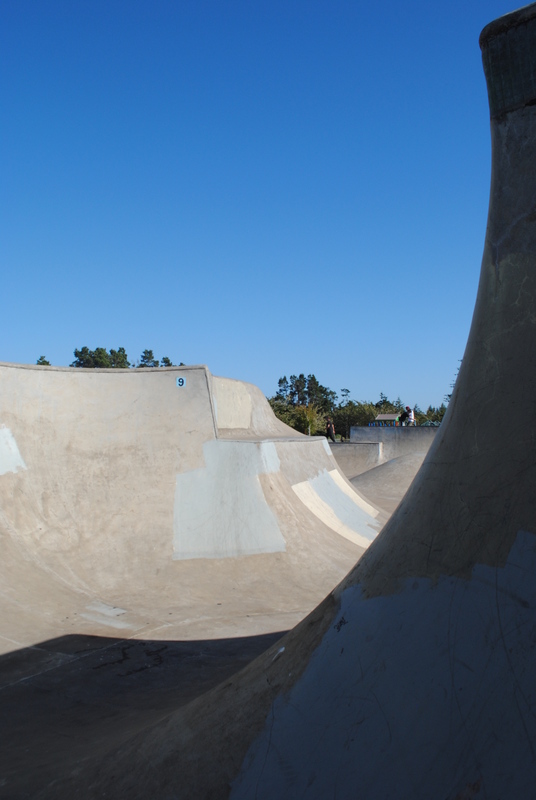 The original design for this park was a nice, tame, five foot bowl. Imagine the city’s surprise when they discovered this monstrosity! It’s amazing to me that Florence was not built by bmxers. The main line starts with a box jump and weaves its way through a speed track of doghnut corners and hips. The closest parallel I can think of is a bobsled track. Florence is also plagued by wind. The park sits close to the ocean, and is apparently windy every day unless you go early. Fortunately, the coolest parts of the park are essentially enclosed or shielded by the gigantic oververt wall on the west side of the park. 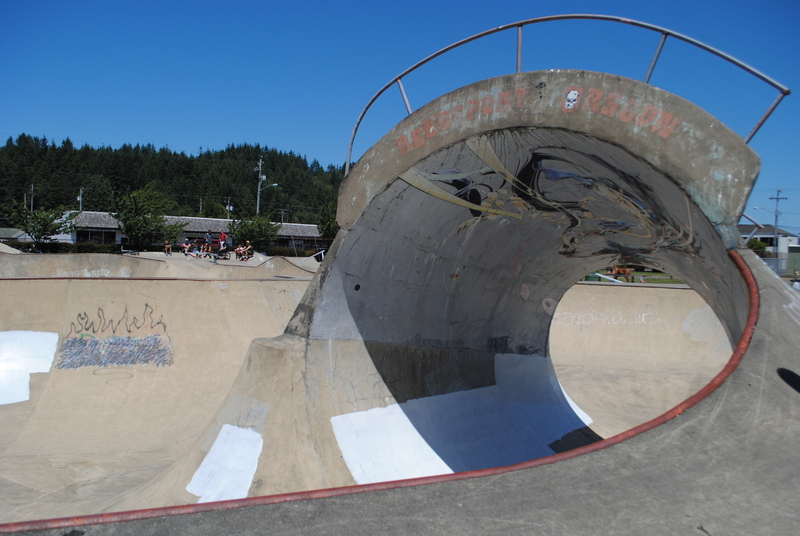 The deep end, dubbed by Noble as the “Thunderdome”, is two giant vert/oververt bowls connected by a seven foot fullpipe with a “hot wheels track” for carving over either end. Florence was Geth’s hometown, and it shows through in the amount of thought that went into this park. We all know Reedsport for the funnel loop that Morgan Wade claimed ownership of in Drop the Hammer. The funnel loop is 18 feet on the tall side and 12 feet on the short side. It sat unlooped for a couple of years but as the story goes, there was an annual jam in Reedsport with a cash prize for the first person to loop it. During the second year’s jam, the man who built the pipe was the first to loop it. The next year, Geth looped it fourty times in one day. Morgan is the only person who has double looped it. Airspeed has seemingly faded away. They built a wild park in rural Mexico and had aspirations of building a now mythical double funnel. It’s unclear what happened or if we’ll ever see another one of their weird and amazing parks, but they’ve left enough behind to satisfy the concrete explorer in all of us.